A while ago I was invited to review the book, Simply Perfect Party Cakes for Kids by Zoe Clark, and was generously provided with the entire PDF file. Thanks so much! From the get-go, I fell in love with the book; it's beautiful! Zoe Clark has a shop in London which looks absolutely dreamy, The Cake Parlour. A couple of weeks ago, a friend approached me about making some elephant cookies for a baby shower; she wanted some cute, whimsical elephants. Almost instantly I remembered this elephant on the cover of the book! It was used on a cake as a fondant decoration, and as a cookie. There was even a template included in the book. I simply traced the template (adjusting it to the size I wanted) and transferred it to cardstock. 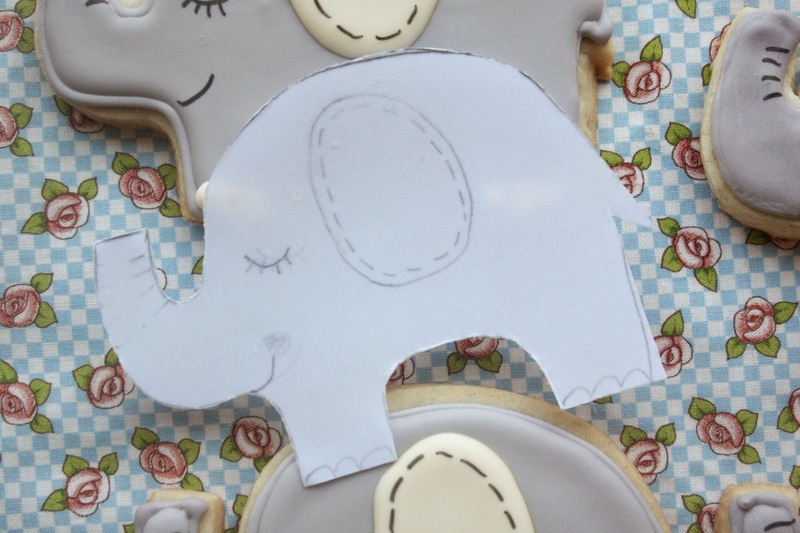 I then used the template, along with a small, sharp knife, and cut out the elephants from the sugar cookie dough. I made 30 elephants. The colors for the shower were gray and cream. For the black details I used an AmeriColor food marker after the royal icing was completely dry. I packaged each cookie in a cellophane bag, tied with twine. When my friend picked them up she was super happy with the elephants. Simply Perfect Party Cakes for Kids includes a dozen cakes (and some cupcakes and cookies) with detailed instructions and gorgeous photos. I think next up for me will be the "Surf's Up" cake or the Dessert Treat cookies. There is definitely something to please everyone. Simply Perfect Cakes is simply perfect! Zoe Clark has published many cookbooks, and besides the links at the top, can be found on facebook here and here. How cool! 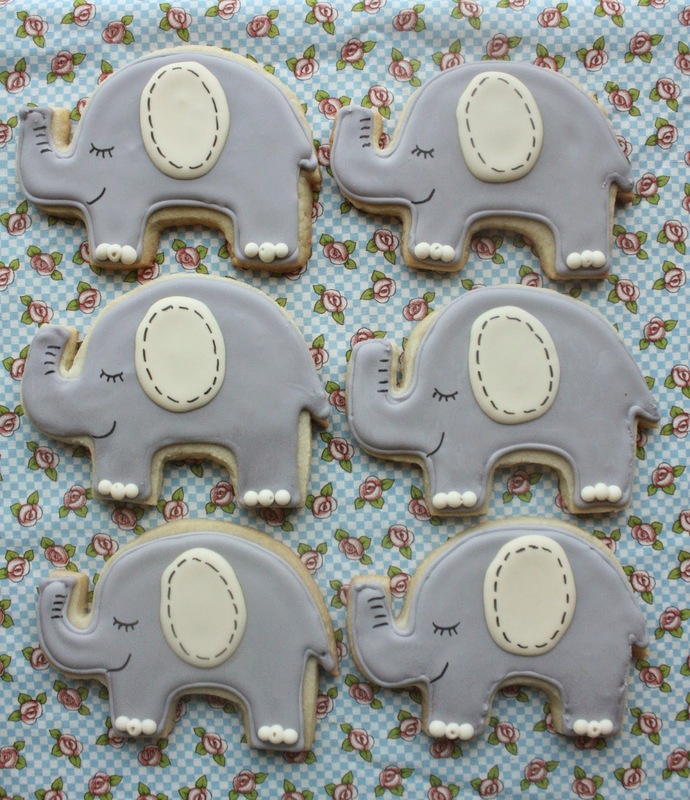 Those elephant cookies look so adorable. Thanks, Trish! So good to hear from you! Thank you, Karen, for your comment. Have fun with the first birthday celebration!